So, how many of my readers know that OS X comes with a fairly fully-featured calculator? Any guesses as to what it’s called? If you’re already an occasional user of Calculator, did you know that there is more than meets the eye? Well, there is… and there’s quite a bit. Let’s take a look. I realize that at first glance, a how-to piece on using the OS X and iOS Calculator might seem pretty lame, but the reality is the majority of Mac users are not aware that a calculator app even exists. As with other free little gems that come installed standard on each and every Mac, Apple does not make their availability obvious. Of course, it’s a different story in iOS where the Calculator app is practically in your face, so I’ll spend more time on the OS X version of Calculator. 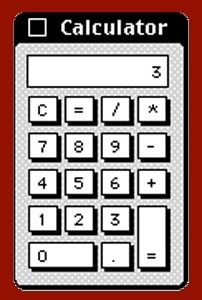 The Calculator application has been a staple on the Mac since it’s introduction on the original Macintosh 128k back in the primordial days of 1984. Back then, it was a simple four-function calculator program that came as a stock Desk Accessory. The few remaining Macintosh veterans who can even remember back that far will recall that in a very rudimentary way, Desk Accessories were a first glimpse into the wonders of multitasking at a time when this technology was unheard of for personal computers. 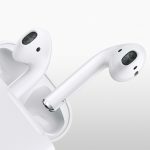 They were little widgets – very similar to what we have in in the OS X Dashboard today – that provided various bits of functionality while another application was running. Desk Accessories were available from the Apple menu. 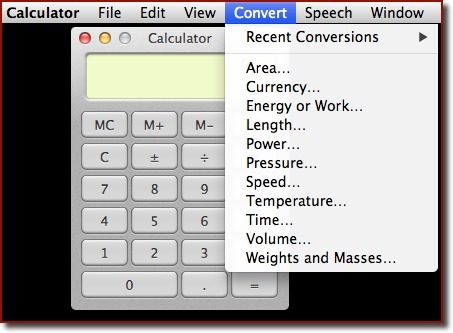 The Calculator feature set has not changed over several iterations of OS X, including Mavericks. The Basic calculator, while providing the simple functionality for arithmetic calculations, does provide memory storage and recall features. Scientists, Engineers and Programmers can delight in the fact that there are calculators that cater to their specialized needs as well. These can be had by going to the View menu and selecting either the Scientific or Programmer versions of Calculator. The Scientific calculator – for advanced mathematic calculations – can, among other things, work with exponents, reciprocals, as well as trigonometric, logarithmic, and factorial functions. Additionally, these hard-working guys and gals are often clamoring for calculators that work in RPN mode (Reverse Polish Notation – as in the sausage, not the colorful stuff some of us apply to fingernails). Yes, Calculator does let you enable RPN to all three calculator types via the View menu. The third type of calculator is the Programmer calculator which can do hexadecimal, octal and decimal conversions among other functions that programmers frequently require. 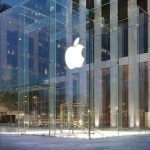 One feature that Mac users are often delighted to discover about the stock Calculator is that it can perform value conversions. You can convert currency values; one example being the conversion of Euros to Dollars. A number of other measurement values can be converted, such as kilometers to miles, degrees centigrade to fahrenheit, and many more. 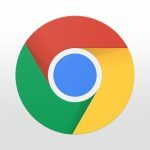 With currencies, since their conversion rates are in constant flux, Calculator will look up updated values via your Internet connection. However, it’s important to note that you need to update the value lookup manually if Calculator has not updated the conversion rate for a while. Enter the original value you want to convert from – 25 in this case. Select Convert > Currency. This is where you would click on the Update button to have Calculator refresh the conversion rate. Choose the original currency (Euros, in my example) from the From pop-up menu. 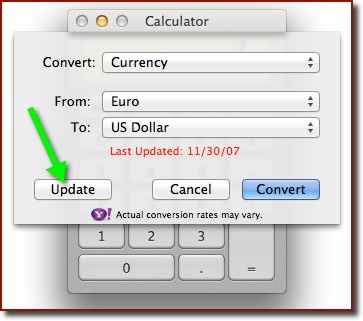 Choose the currency you want to convert to from the To pop-up menu (US$ in the example). Click Convert to get your solution. Converting units of measure works the same way. Of course, the formulas are static so there is no need for an online lookup. You can show your calculations and conversions in a running list as you enter them, and print and save the list as a record of your calculations. With Paper Tape open, you can get a running listing of all your calculations. Also available with the Basic calculator. This feature is called Paper Tape and is available for the Basic and Scientific calculators. It’s accessed via Window > Show Paper Tape. To print or create a PDF of the tape, choose File > Print Tape. To save it as a simple text file, go to File > Save Tape As. I know what you're thinking, and no… you cannot post your calculations to Twitter or Facebook, but we can dream. Here’s a feature I particularly like, because I love it when Samantha – who lives inside my MacBook Pro – speaks to me. You too, can have your calculations spoken to you either when clicking a button on the keypad, or to hear the calculation results, or both. These features can be toggled on and off via the Speech menu. Of course, you can select a different voice via System Preferences > Text to Speech. Oh, and before I forget, all calculator results can be copied, and then pasted elsewhere. 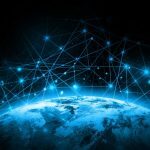 For those readers needing details regarding RPN usage and the scientific functions available as well as abbreviations used, be sure to peruse the online Help available under the Help menu, where all will be divulged. 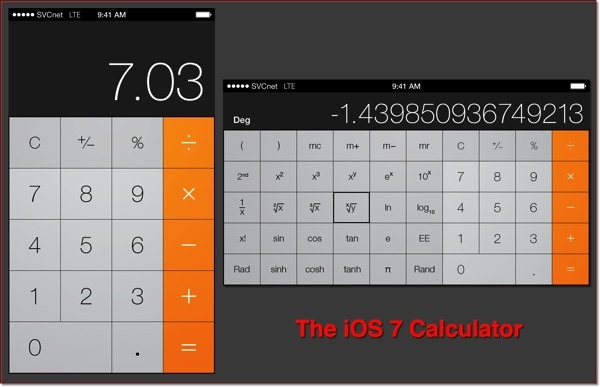 A barebones calculator has always been included as a stock app in iOS for iPhone and iPod touch. The iOS 7 version, in my opinion, has a very attractive interface. And, it couldn't be simpler to use. Press and hold on the calculation result field to Copy or Speak the value in the field. In iOS 7, get to Calculator quickly by swiping up from the bottom edge of the screen to open Control Center. Tap on the Calculator button. Optionally use the number keys on a bluetooth keyboard to enter numbers. 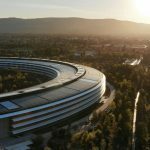 Apparently, Apple did not see any need to develop Calculator for the iPad. However, there are tons of calculators of all kinds and of varying degrees of sophistication and complexity available to download from the App Store. For calculating on my iPad, I like Calcbot – The Intelligent Calculator by Tapbots, available from the App Store for US$1.99. For unit conversions on both my iPad and iPhone, I use the US$0.99 app, Converter – The Unit Converter by TouchMeme. Keep in mind that there are many fine apps in the calculator and unit conversion categories; these two are the ones that I happen to like and frequently use. Why not give the stock calculators a try? You may just find that they satisfy your needs adequately. Besides, a calculator is just a calculator, right?